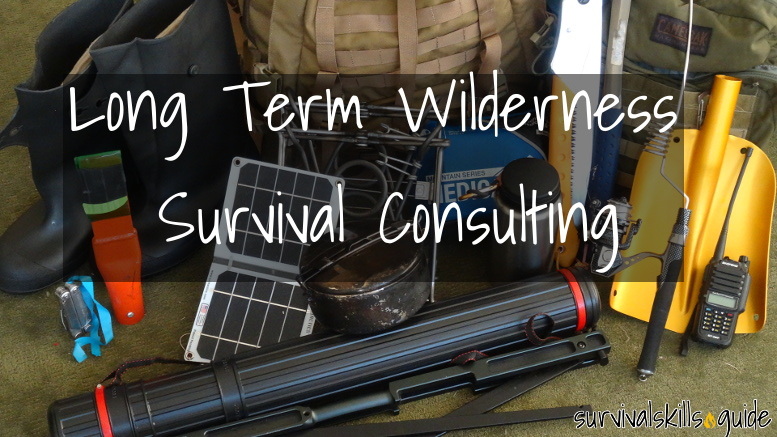 I offer consulting services for individuals or groups wanting to prepare for a long term wilderness survival scenario. Be it a survival challenge or contest, survival expedition, or for prepping. I’m not another armchair survival “expert”. I have a university degree in outdoor leadership and have a passion for adventure and long term wilderness survival. You can read more about me here. Not only I’ve researched, educated myself, and trained in survival, but I’ve also embarked on my own 6 month survival expedition. My hope in the near future is to buy a remote piece of land and transition into subsistence living. I can offer specific advice on clothing and equipment selection, choosing ideal locations (extremely important), route planning, risk management, rations, training, long term bug out bags etc. Get experience-backed advice that is tailored for you — your goals, your preferences, your experience level, and your budget. I offer a personalized consulting service, conducted through email, shared files, and phone/video. Hunting-gathering considerations for the area in which you are interested. Learning general and gear-specific skills, like basic navigation, axe skills, canoe skills, friction fire, bushcraft skills, survival skills and local wild edibles. To discuss your needs, contact me. A few sentences describing your survival experience. A ballpark figure of your budget. I charge $40 USD per hour. Please contact me so that I can better understand your needs and give you an estimated cost. Unused amounts will be fully refunded. Check out my articles. Chances are you might find what you’re looking for. If that doesn’t do the trick and/or you are looking for more personal attention, contact me at juanpablo@survivalskills.guide and we can set up a time.